Specifically designed for high-impact environments. Highly resistant to soft body contact. Fewer indentations from hard body impact. Same acoustic performance as GTEK™ Sound. Stronger than 13mm plasterboard. Same installation process as standard plasterboard – easy to join, finish and repair. Ideal for high-traffic areas where walls are subjected to regular stress, GTEK™ Impact can be used in residential and commercial applications. 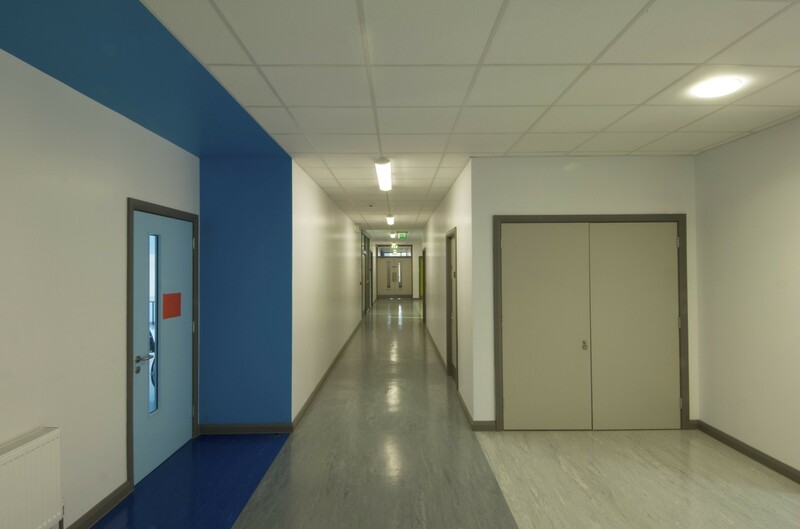 Specify GTEK™ Impact where furniture and equipment are frequently moved; from hallways, garages and games rooms to schools, universities, hospitals, shopping centres and transport hubs. GTEK™ Impact features a unique core structure and a heavier paper liner, delivering more strength than regular plasterboard.